Network marketing success doesn’t come easy but possible. It is the sum total of the research you put in, finding out different strategies successful people are deploying in their business and come with a strategy of your own, which suits your business and your style of working. If someone tells you that they know the magical formula for overnight success in network marketing, it is safe to assume that they are lying. So, to get you started on your research, we have compiled a list of some of the best networking marketing books you absolutely need to read, so that you know what it takes to succeed in network marketing. I’m going to list the books that have helped me. My strongest mentoring for you is to go buy every single one of the mlm books on this list and devour them! John Milton Fogg uses a parable here of a guy who’s close to quitting network marketing when he meets a MLM leader deemed as the greatest networker in the world. From the story, you begin to realize that we often have to unlearn a lot of previous marketing and sales techniques to succeed in this completely different industry of network marketing. He talks about the power of duplication and so much more. Get this book! It’ll shake things up, for sure! 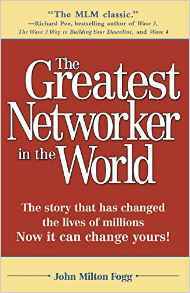 Robert Kiyosaki is a huge well-known supporter of network marketing. 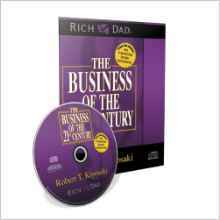 In this book, he includes a DVD on how to build your home business and become a leader within the industry. His no nonsense, business savvy way of explaining this industry is AMAZING! I highly encourage you to pick up this one ASAP and use it as a credibility tool to recruit. 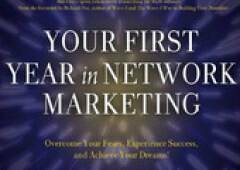 In this highly educating book, Yarnell recognizes the fact that your first year in network marketing will be your most challenging. It has the potential to make or break your career. Therefore, he explains in the book various challenges you are going to face when you approach people for the first time and tell you what to expect. The book also explains how to get over the barriers you are going to face in your first year and how to overcome them. It comes with step by step guides on how to deal with specific areas of difficulty in the first year including how to handle rejection, how to recruit and train people, how to remain focussed, how to avoid over-the-top expectations from yourself and your business, organize in-home meetings and how to ease out of an existing career when planning to switch to multi level marketing. This book is a god-send for new initiates into the MLM industry. 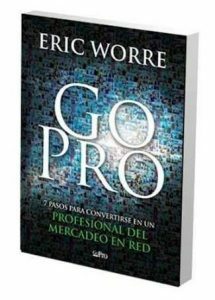 Eric Worre’s network marketing book was the guide most often recommended to me by other MLM professionals, and with good reason. His seven-step guide to building a successful network marketing business helped inform many of the decision that I made in my first three months of building my business. Go Pro will give you everything you need to transition from an amateur businessperson to a professional network marketer. Magnetic Sponsoring is completely different than anything you’ve seen or read before when it comes to building a network marketing or MLM business. This is NOT a book for people who want to follow the herd, or get average results handing out samples, holding home parties, or buying leads. It is for the few who want to become leaders in this industry. Who want to walk across the stage, and who want to earn 7-figures. It is for those who would rather be the hunted than the hunter. Who prefer to work smarter, instead of harder. Who want to build a life-long business, rather than just an opportunity, and for those who appreciate truth over hype. 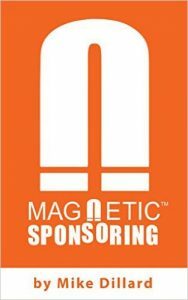 If you’re tired of chasing your friends and family, posting fliers on bulletin boards, cold calling leads, and handing out business cards, then Magnetic Sponsoring is exactly what you’ve been looking for. Prospecting effectively offline is still the best way to duplication if properly done. You will know how to do this effectively in this book. • Discover how to close a prospect like a champion. • Discover how to start conversations and turn them into gold that pays all the time. • See how to thrive in network marketing and thrive well and fast. • Learn how to make people be glad to do what you want. • Learn how to get an instant yes – how to put an end to disappointment and rejections. • See the big secret of dealing with prospects. • See what to do and how to be welcome anywhere. • Develop the skill to make prospects like you instantly. 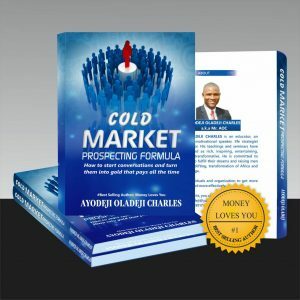 This cold market prospecting formula has done these things for me most especially during my tour round the south western states and has done for more people. 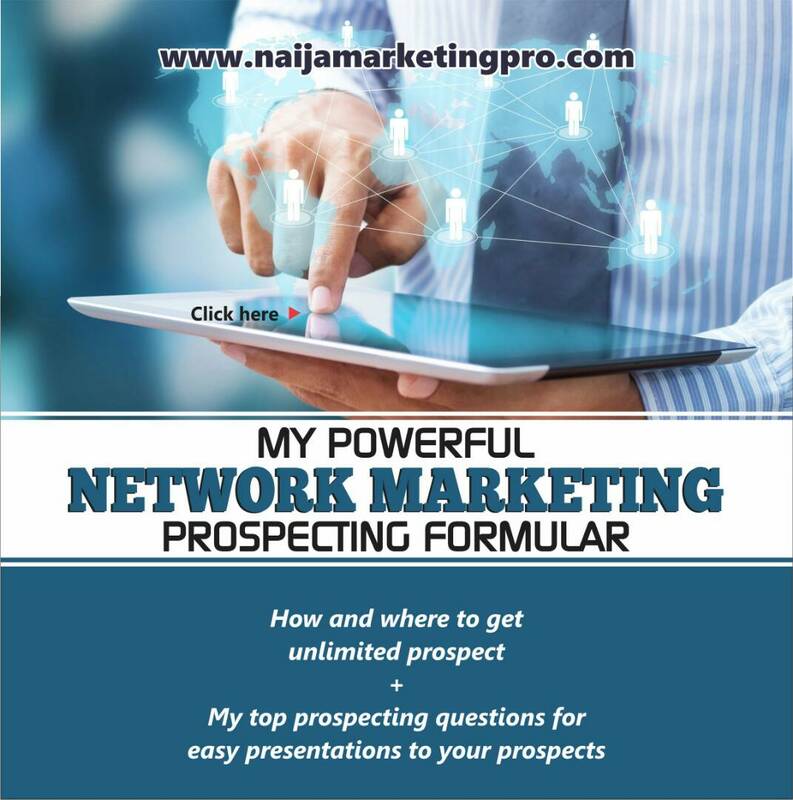 I hope these mlm books help you achieve your goals and dreams in becoming a Naija Marketing Pro. « MARKETING TOOLS THAT WILL GUARANTEE YOUR SUCCESS AS A NETWORK MARKETER. It a very nice piece sir. Thank you. Glad you were enlightened.